Objectives: The purpose of this study was to estimate the state of tension (tone) and the biomechanical and viscoelastic properties of skeletal muscle in aging rats during the administration of different doses of dexamethasone and to find the relationships among the state of muscle atrophy, muscle strength, and the abovementioned muscle properties. 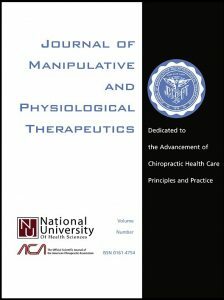 Methods: Muscle state of tension, biomechanical (elasticity, dynamic stiffness) and viscoelastic (mechanical stress relaxation time, Deborah number) properties (using MyotonPRO, Myoton Ltd, Tallinn, Estonia), lean body mass (BM), and hind limb grip strength were measured before and after the administration of a 10-day treatment with dexamethasone 100 μg/100 g BM (young and old group) and 50 μg/100 g BM (old group). Results: Muscle elasticity (logarithmic decrement) was lower in old animals (1.86 ± 0.03) in comparison with young adult rats (1.38 ± 0.04) (P < .01). After the 10-day treatment with dexamethasone 100 μg/100 g BM, young adult rats had 10% lower muscle elasticity (P < .01). The same dose of dexamethasone in old rats increased tone (frequency of natural oscillation) from 29.13 ± 0.51 Hz to 38.50 ± 0.95 Hz (P < .001). There were dose-dependent differences in dynamic stiffness and tone of muscle; changes in elasticity were independent of the dose in old animals. In old rats, the muscle’s viscoelastic properties decreased after dexamethasone administration. Significant correlation was found between changes in muscle logarithmic decrement and stiffness (rs = 0.90; P < .05) in old animals. Biomechanical and viscoelastic properties of skeletal muscle indicate changes in the main function of muscle during glucocorticoid-induced muscle atrophy and are in agreement with changes in hind limb strength. The myometric measurements indicate the direction and magnitude of change in muscle tissue after different doses of dexamethasone administration easily and quickly.